Los Angeles (AP) – Director Christopher Nolan and actor Mark Rylance didn’t know quite how famous Harry Styles was before “Dunkirk.” The young people in their lives certainly did. Styles, 23, who gained fame with One Direction and recently launched his solo career, plays a British soldier in Nolan’s suspense-thriller about the evacuation of hundreds of thousands of Allied soldiers from Dunkirk, France, in May and June of 1940. Rylance, also featured in the film, said he learned of Styles from his 11-year-old niece. “Dunkirk” also features Kenneth Branagh, Cillian Murphy and Tom Hardy, and stars newcomer Fionn Whitehead. 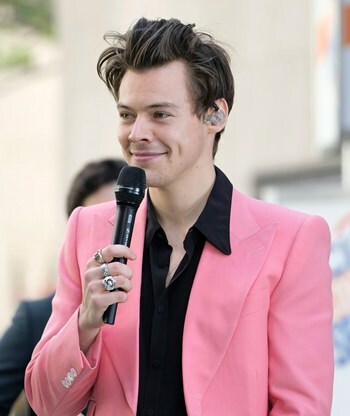 Styles, who recently added 56 dates to his upcoming solo world tour, said his One Direction bandmates were supportive of his acting dreams. “They are big fans of Chris, too, and I think they’re excited to see it,” Styles said.